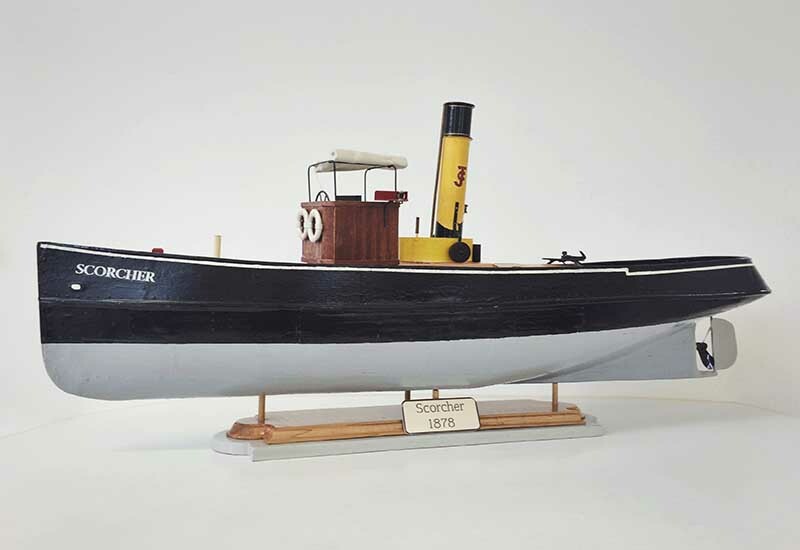 The ST Scorcher was a Harvey Steamship Company iron screw tugboat built for use on the River Thames. In 1955 she was still at work, towing barges for Clements, Knowling & Co. of Brentford, powered by her original machinery. The Scorcher had a brief appearance in the opening shot of the 1954 film ‘River Beat’. It’s thought that she was scrapped in 1958, after a working life of nearly eighty years. Model by John Anthony Model Design, Scarborough, North Yorkshire.